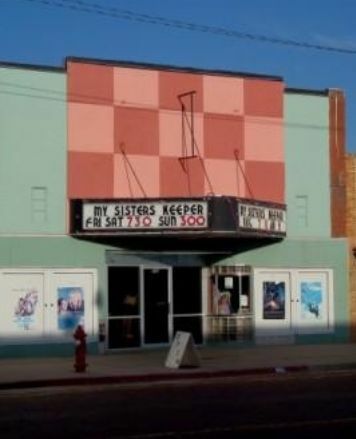 The community-owned Ritz Theater shows the most recent movies on the 2nd and 4th weekends of each month. Shows take place on Friday, Saturday and Sunday on those two weekends. Originally this theater was known as the Mystic and was located at a different, but unknown location in town. In 1930 the theater was moved to its present location and in 1937 it became known as the Ritz Theater. 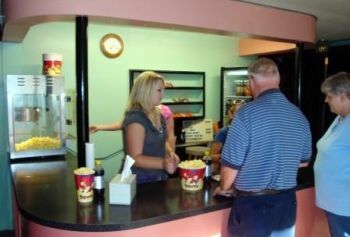 A great concession stand is in operation at every showing, and yes, you can get extra butter on your popcorn if you ask nice. New comfortable chairs await the movie buff thanks to a community fundraiser held several years ago. The architecture of the building may best be described as Art Deco. The theater can also be viewed by appointment or rented for fundraisers.